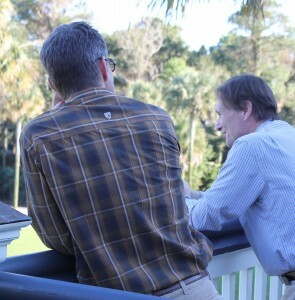 Mark Packard and Jim Rocco continue a discussion outside the meeting room at Kiawah Island, SC. Team members gathered during the week of November 9, 2015, for RAC’s annual fall meeting at Kiawah Island, South Carolina. The meeting provided a valuable opportunity for the team to evaluate progress on all ongoing projects, discuss technical issues in depth, and make plans regarding both ongoing and future work. 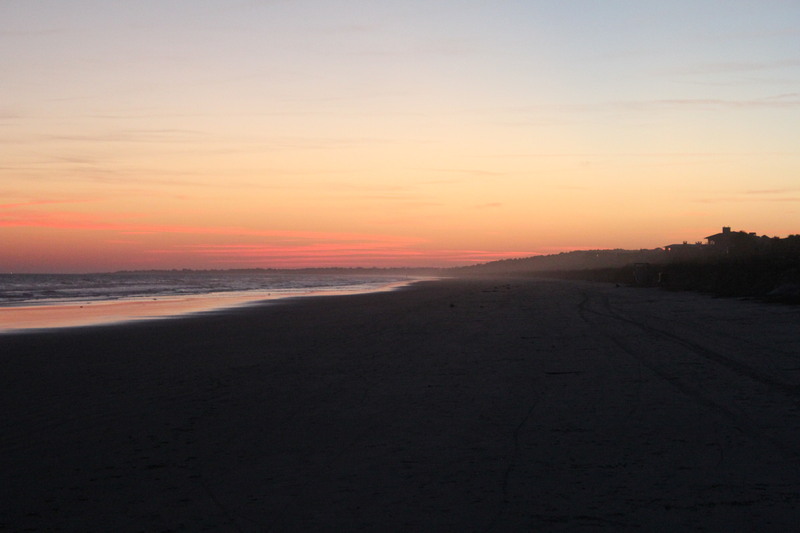 Kiawah Island beach at sunset. Dr. John Till attended a meeting on November 3 and 4, 2015, in Oak Ridge, Tennessee, with NCRP Scientific Committee 6-9, “Deriving Organ Doses and Their Uncertainty for Epidemiologic Studies”. The committee’s objective is to prepare a report on dosimetry related to reconstruction of doses for epidemiology. The dosimetric issues involved are complex and differ among the varied exposed populations under evaluation: atomic veterans, DOE workers exposed to both penetrating radiation and intakes of radionuclides, nuclear power plant workers, medical radiation workers, and industrial radiographers. The NCRP report is envisioned to cover the specifics of practical dose reconstruction for the ongoing epidemiologic studies with uncertainty analysis evaluation. Helen Grogan was a Member of the United States Delegation to the United Nations Scientific Committee on the Effects of Atomic Radiation (UNSCEAR) at the Sixty-Second Session of the Committee, which met in Vienna, Austria, from June 1 – 5, 2015. Attendees pictured above are (L-R): Armin Ansari, Bruce Napier, Helen Grogan, Wesley Bolch, Gayle Woloschak, Julian Preston, Naomi Harley, Vincent Holahan, and Lynn Anspaugh. RAC provided funding for Helen to fulfill this important commitment. 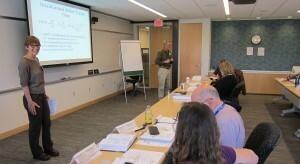 RAC presented a 5-day training course on environmental risk assessment to Nuclear Regulatory Commission (NRC) staff from April 27 through May 1, 2015, at the NRC Professional Development Center in Rockville, Maryland. 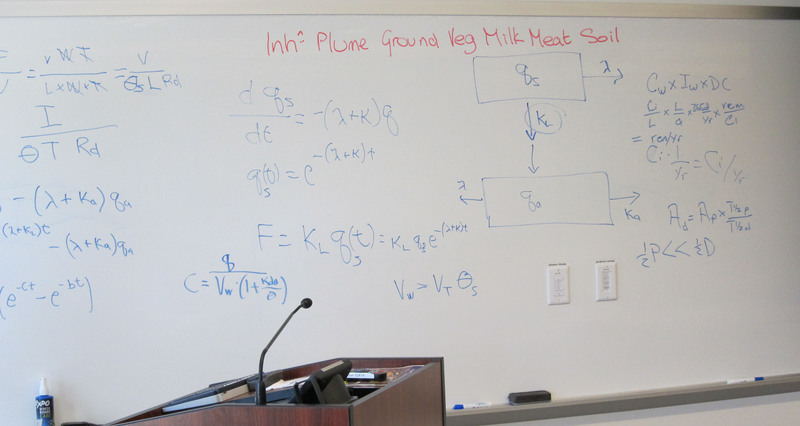 John Till, Helen Grogan, Peter Shanahan, Art Rood, and Justin Mohler presented lectures during the week, and the course was very well received. The course was designed to allow participants to use the acquired knowledge for performance evaluations of licensee environmental assessments, performing environmental impact reviews, inspecting licensee programs, and managing environmental projects. RAC is contracted to present up to four more training courses for the NRC through 2019. Helen Grogan and other members of the National Council on Radiation Protection and Measurements (NCRP) Scientific Committee 3-1 on Emergency Response Dosimetry were very fortunate to be given a tour of the Hudson River and the East River on Fire Boat 343. This is a rescue boat complete with an air-purification system that went into operation in 2010 and can operate in areas tainted by chemical, biological, or nuclear agents. Its four pumps can spray a combined 50,000 gallons of water per minute at 150 psi—twice the capacity of older ships. John Till received a medal at the 51st Annual Meeting of the National Council on Radiation Protection and Measurements (NCRP), held March 16 and 17, 2015, that commemorated his presentation of the 37th Lauriston S. Taylor Lecture at the 2013 Annual Meeting of the NCRP. The lecture series honors the late Dr. Lauriston S. Taylor, the NCRP founding President. John is pictured with NCRP President Dr. John Boice and Eleanor A. Blakeley who were also previous recipients of the award. Helen Grogan attended the 51st Annual Meeting of the National Council on Radiation Protection and Measurements (NCRP), held March 16 and 17, 2015. Helen and her fellow NCRP committee members celebrated the publication of the report they co-authored, NCRP Report No. 175, “Decision Making for Late-Phase Recovery from Major Nuclear or Radiological Incidents”. 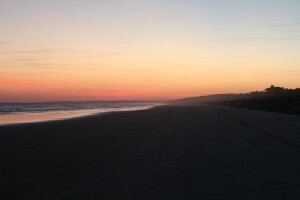 The report is available for purchase at http://www.ncrppublications.org/Reports/175. 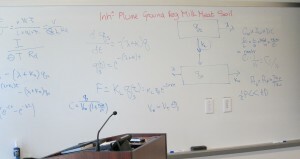 Helen Grogan, Ph.D. co-authored a recently published report prepared by the National Academy of Sciences (NAS) Committee on Research Directions in Human Biological Effects of Low-Level Ionizing Radiation that was chaired by Hedvik Hricak, M.D., Ph.D. The report, “Research on Health Effects of Low-Level Ionizing Radiation Exposure: Opportunities for the Armed Forces Radiobiology Research Institute”, examines recent scientific knowledge about the human effects of exposure to low-dose radiation from medical, occupational, and environmental ionizing-radiation sources, focusing on the work of and opportunities for the Institute. The report is available from The National Academies Press at http://www.nap.edu/catalog.php?record_id=18732. Mr. Art Rood was invited to be a full member of ICRP Task Group 98, Application of the Commission’s Recommendations to exposures resulting from contaminated sites from past industrial, military, and nuclear activities. The mandate of the task group is to develop a report that describes and clarifies the application of the Commission’s Recommendations on radiological protection of workers, the public, and environment to exposures resulting from sites contaminated due to past industrial, military and nuclear activities. Helen Grogan presented a lecture titled “Ensuring measurements meet modellers’ requirements” at the 2nd Cesium Workshop organized by Japan Atomic Energy Agency (JAEA) in Fukushima City in October 2014.